At the top of the page you see some tabs for various things - the About Us section, my other blogs, and a link to our 120 Square Feet store. You'll notice one other tab that is titled Hire Us. 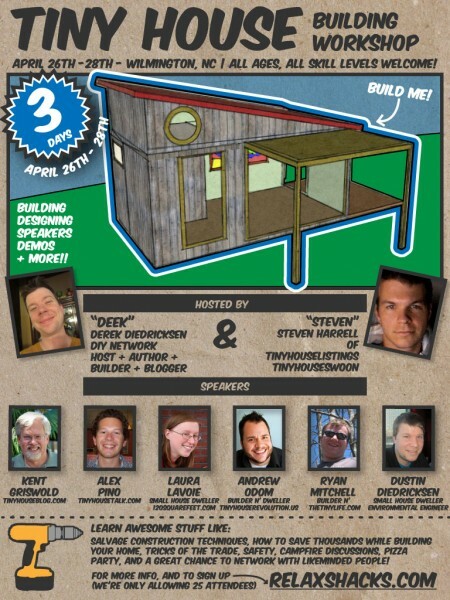 Matt and I have a lot to share about our experience building a tiny house. 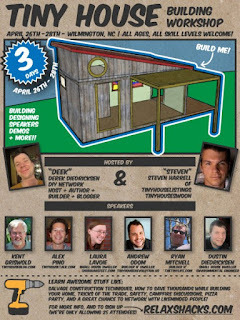 We can talk about construction challenges, solar power systems, off the grid living...anything you can imagine. And We want to be here for the tiny house community. There are a lot of workshops coming up, including one at the end of this month in Eastern North Carolina. We will be speaking at that event. If you are hosting a tiny house event, especially anywhere in the eastern half of the US, Matt and I would love to come share our story. If you're an individual, couple, or family looking to begin your own tiny house adventure and you want to talk to someone who has done it before we also offer one on one consultations which can be done over the phone, over the net, or in person depending on where you are and what you need. Our prices are reasonable and based on your specific requirements. You can contact us directly at lmlavoie [at] gmail [dot] com or PM us through our Facebook page - we check messages regularly. We can discuss what you're looking for and how we can help you and go from there. A friend posted today, "Promote what you love." That is exactly what I would like to do. I love my tiny life and I would love to share it with people who dream of doing it for themselves. If I can do it, anyone can. Let me know how I can help you! I have been researching the tiny house movement now for awhile and really feel I could do this; however, don't have the funds to build one and don't know where I'd put it. I have recently had to retire and am finding that I can't win in the money game of life, so I don't have a lot of options. I had to go bankrupt and lost my car also. What can I do? I certainly could downsize....that's not a problem....no one visits anyway and though I had big dreams for retirement, they've all pretty much turned into nightmares over prescription drug costs for cancer pills and just $2.00 over to get food stamp help. Don't know where to go from here. Any ideas?